These days, you can’t go pumpkin picking without visiting a corn maze, and the Queens County Farm Museum has one of the best. This year the three-acre, human-scale puzzle is laid out in an American flag design to commemorate the 200th anniversary of the Star Spangled Banner. And to add to the fun, there are hidden clues and puzzles throughout the labyrinth. If you want to make things extra eerie, you can do the maze at night, guided only by a flashlight. 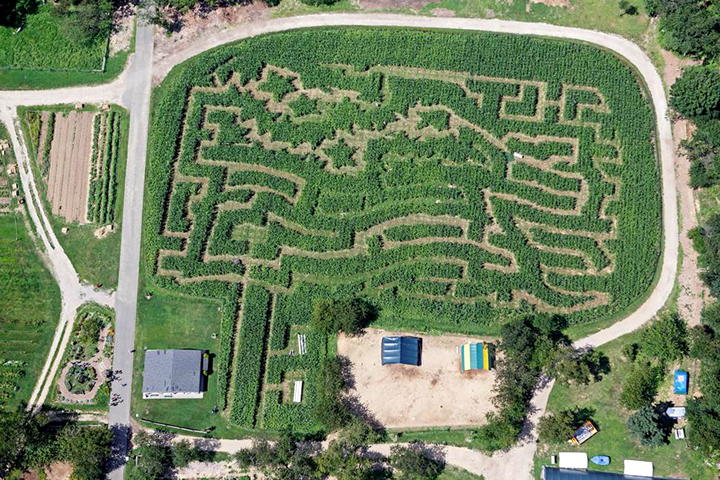 Once (or should we say if) you make your way out of the maze, the Queens County Farm Museum also offers a pumpkin patch and haunted house. Who doesn’t love a dog in a costume (well, except maybe the dog)? At this annual parade, proud pet owners parade their costumed pooches around Tompkins Square Park in what CNN has called “the largest dog costume parade in the world.” This year, the event will take place on Saturday, October 25th from noon to 3:00pm. 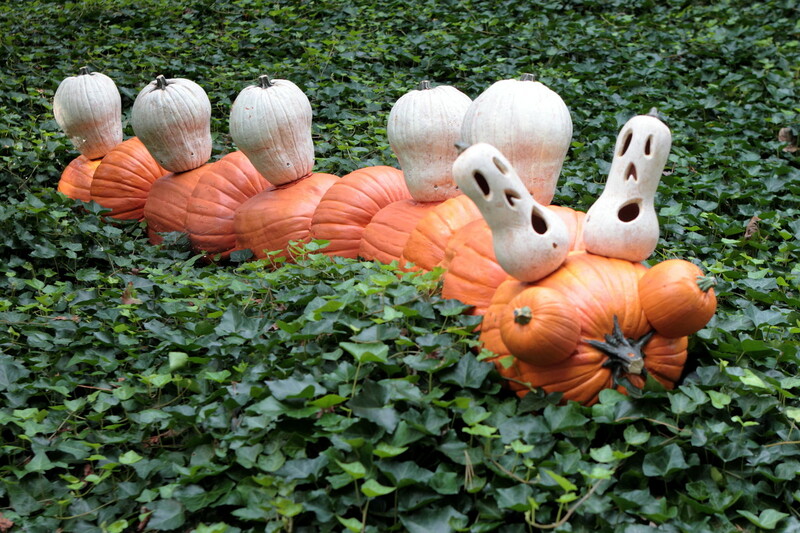 This annual event at the New York Botanical Garden showcases the intricately carved pumpkin sculptures of Ray Villafane as well as the largest pumpkins in North America. It’s on display until Halloween. 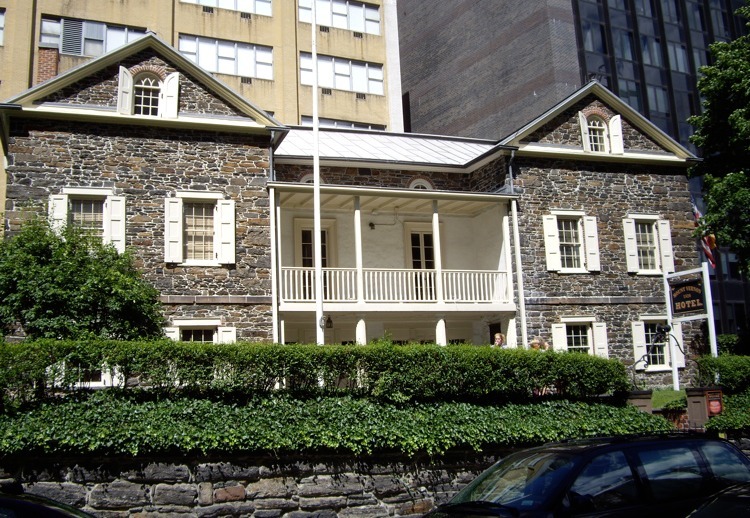 Often known as “Manhattan’s most haunted house,” the Merchant’s House Museum doesn’t need any fake blood or masked men with chainsaws to scare you silly. The house has long been known to be haunted by its former residents, the Tredwell family. There are plenty of reports of randomly slamming doors, creaking floorboards, and voices calling in the night. During October, visitors can take a 50-minute, candlelit guided tour to each location where eight family members died while hearing the creepiest tales from present day. There’s also a kid-friendly version of the tour. 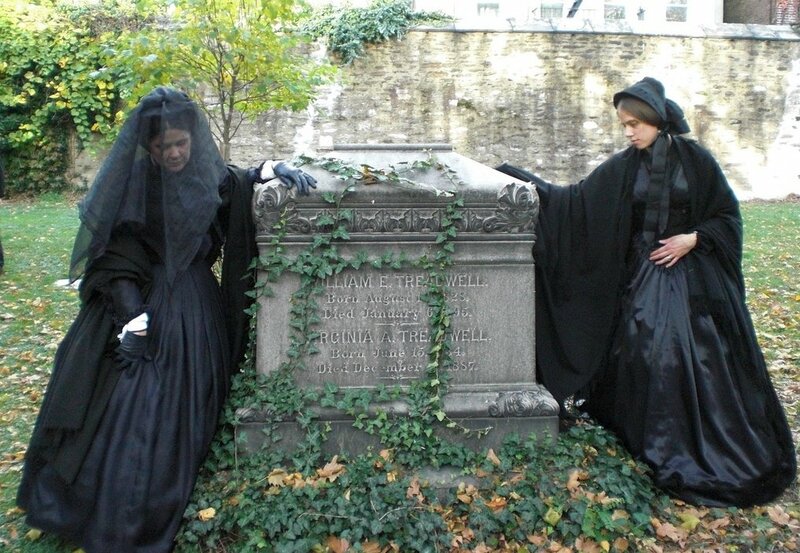 For all you serious history buffs, the Merchant’s House also has an annual 1865 funeral reenactment and graveyard procession, a recreation of the funeral service of Seabury Tredwell. After the service, “mourners” walk the coffin to the nearby New York City Marble Cemetery for the graveside service and a cemetery talk about the funerary customs of 19th century New York City. Don’t forget–19th century mourning attire is encouraged. The Upper East Side’s Mount Vernon Hotel Museum and Garden may be a perfectly lovely antebellum house museum for most of the year, but on October 25th and 26th, the eighth-oldest building in New York becomes a big game of whodunit. Based on a historic newspaper account of an unidentified skeleton discovered underneath the floorboards of the hotel, this murder mystery game leads participants throughout the house by candlelight. Fort Totten Park in Bayside, Queens surrounds a preserved Civil War fortress from 1862. 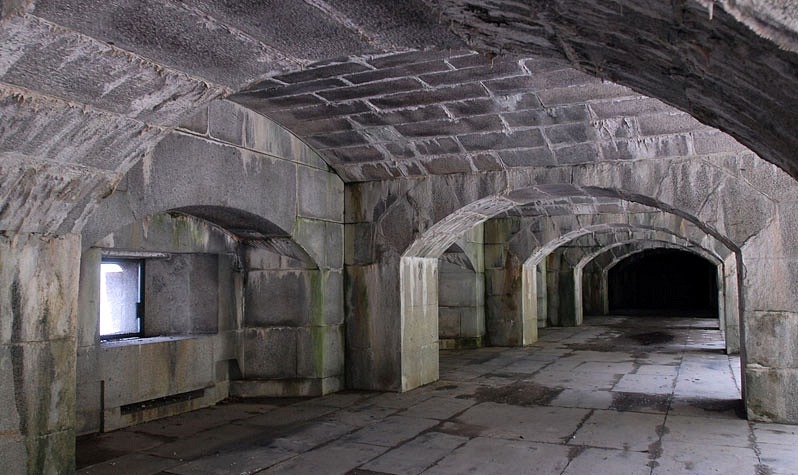 On Friday, October 24th, Urban Park Rangers will lead lantern-lit tours through the haunted Fort Totten Water Battery. According to Untapped Cities, you can still see the inscriptions soldiers carved in the walls while stationed there. 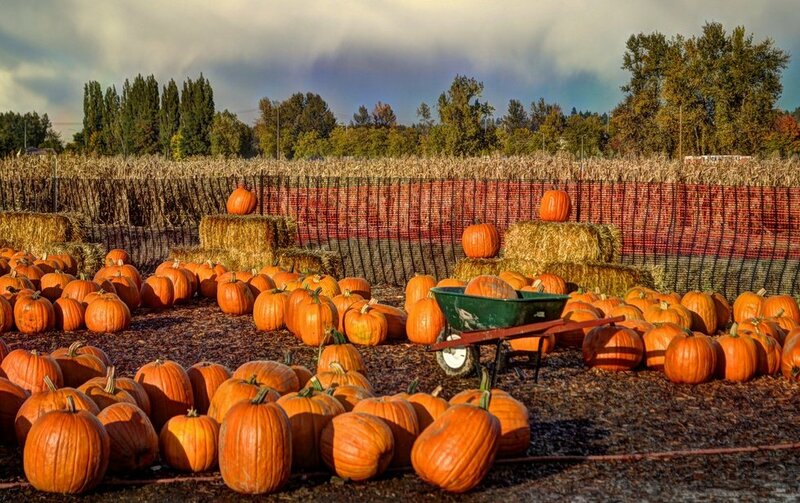 After Halloween there are a lot of pumpkins and guards to dispose of. 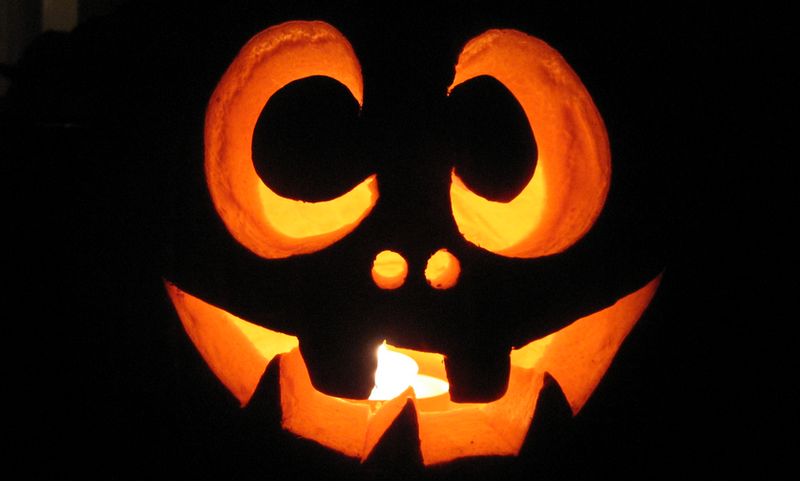 And if you’ve had your share of baking pumpkin pies and roasting pumpkin seeds, take your wares to one of the city’s pumpkin smashes on Saturday, November 1st. Taking place at the Sunnyside Greenmarket in Queens and Clement Clarke Moore Park in Chelsea, these composting events will help to rebuild soil around the city.